Weather resistant keypad reader. 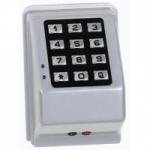 Wall mounted, this keyless entry reader enables you, your employees, and guests to use a code for entry. All of those keys you’ve been issuing and tracking can be eliminated. Not to mention the savings you will realize from never having to change out your locks again. Commercial grade keyless entry to be used in conjunction with an electric door strike or mag lock. 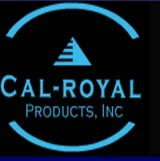 Holds up to 2,000 user codes, Master, Management, Supervisor & basic user.